Global Café will launch new initiatives for the fall semester in the student organization’s continued efforts to engage the diverse campus community at The University of Alabama. The first meeting will be held 5–7 p.m. on Sept. 19 at Capital Hall. The event is open to all students and refreshments will be served. “Global Café is connecting the world right here in Tuscaloosa,” says Dr. Beverly Hawk, the director of Global and Community Engagement at the Center for Community-Based Partnerships. Through Global Café people with international interests meet visitors from around the world. The program helps students with international interests strengthen their language skills and explore customs. Additionally, during the semester, Global Café’s programming will offer students new paths to campus leadership. 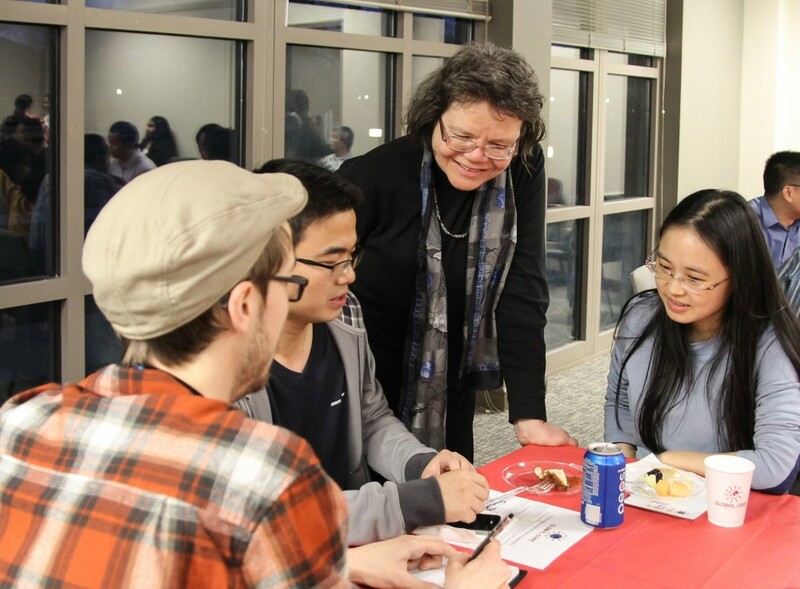 Global Café is an organization that attempts to help international students navigate their new lives in Alabama. It aims to create a safe space for students from diverse backgrounds to talk and gain information related to culturally sensitive issues. This fall, students can choose to participate in the language program, designed for U.S. students to practice a foreign language before visiting another country and for international students to improve their English skills. Lunchtime seminars will be offered to provide useful information regarding campus safety, medical care and campus culture. Life can be hard for international students and their families when they come to the United States for the first time. Thus, the first Global Café meeting will focus on providing information about family resources on campus and in Tuscaloosa. Leaders from campus organizations and community agencies will be available to answer questions and discuss individual needs. Global Café is sponsored by UA’s Center for Community-Based Partnerships, located inside Capital Hall, 413 Bryce Lawn Drive. Free parking is available and there is also a bus stop nearby. For more information, please visit globalcafe.ua.edu, email beverly.hawk@ua.edu, or call (205) 348-7392. Each event is created in partnership with the Capstone International Center, Graduate Parent Support, Tuscaloosa’s One Place, the CCBP Student Leadership Team, Shelton State Community College, Stillman College, Tuscaloosa City Schools, the Tuscaloosa County School System and Tuscaloosa Public Library.